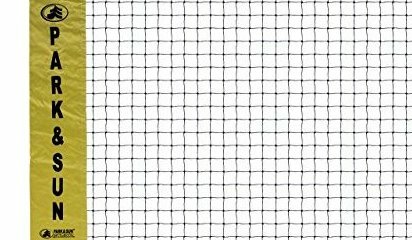 30 - Inchx21 - Feet official size yellow badminton net. Rope cable top. 4 - Inch sleeved side pockets. 1 - Inch reinforced vinyl top tape with braided sides and bottom. Yellow net tape.